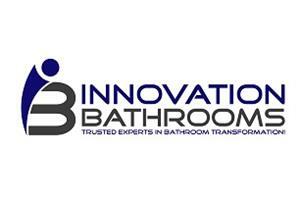 Innovation Bathrooms - Bathrooms, Plumber based in Dartford, Kent. At Innovation Bathrooms we can create any bathroom that combines functionality with beauty suited to your own lifestyle to give a comfortable retreat of relaxation for you to enjoy. Whether you are looking for a full design supply and fit of your new bathroom or simply installation only, Innovation Bathrooms will provide you with a first class and completely personal service to meet all of your requirements. We install all leading makes of bathroom suites, shower room furniture and specialise in wet rooms. We cover all aspects as follows; Design and Planning,Plumbing , Plastering and Tiling, All our work is carried out by a professional registered plumber and Impey Wet Room installer giving you an exceptionally high quality standard finish that meets your needs and budget.